Yubari City is a coal mining city turned resort in Hokkaido in the north of Japan, famous for the Yubari Melon and the Yubari International Fantastic Film Festival. The city went bankrupt in 2007 with a debt of $353 million and a population of approximately 12,000. The city worked with Beacon Communication to promote Yubari, reenergize its citizens, and help make the city economically viable once more. 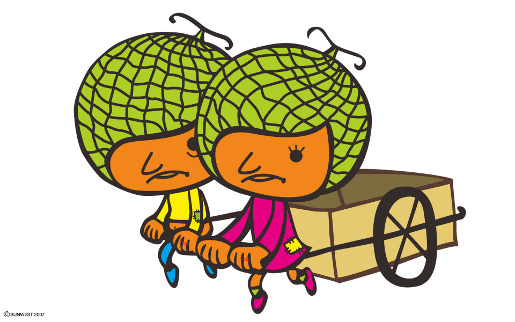 The Beacon creative team focused on the fact that Yubari boasted the lowest divorce rate in the whole of Japan and created the idea, “Yubari, no money but love”, with two mascots, a couple called “Yubari Fusai”. “Fusai” means both “debt” and “married couple” in Japanese. Beacon collaborated with the Yubari City to create additional promotions that positioned the city as a destination for happy couples. 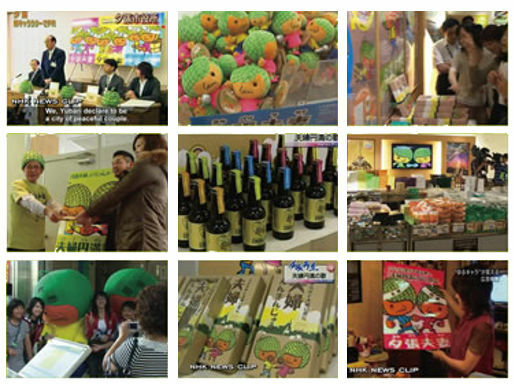 They produced official certificates of happily married couples, branded merchandise and Yubari music CDs. $1.5 million was generated in advertising value with exposure including 100 newspaper mentions, 100 online media mentions, 30 TV mentions and 53,100 blog entries (source: Google search). The annual number of visitors to Yubari increased 10% year by year, raising $31 million toward alleviating the city’s debt. Branded Yubari Fusai products that initially were only available in Yubari now enjoy popularity nationwide. Given the state of the city’s finances the idea had to be low cost but highly effective. Just as importantly, the promotion had to be upbeat and positive. Beacon needed to protect the sensitivities of the local residents and be sure that the promotion didn’t demean them in any way. The idea of “no money but love” was an honest, yet endearing articulation of the situation they faced. The Yubari Fusai icon was just the right means to generate word of mouth, print and broadcast PR in a country obsessed with mascots and cute characters such as Hello Kitty. The City of Love campaign was developed at Beacon Communications, Tokyo, Japan, by creative director Masato Mitsudera, art director Naoki Nishimura, account managers Go Suzuki, Hideki Soraoka, Tomoko Shigetome, with PR by Mika Archer. The Yubari campaign won the Grand Prix in the Promo category at Cannes International Advertising Festival 2009, along with a a PR Lion.